"Candidates running in the Arizona primaries." Illustration published on Monday, Aug. 27, 2018. Some Arizona districts face crowded competitions, while statewide elections see a split in the Democratic party, with gubernatorial hopefuls facing off until the last minute. National races are also drawing attention from analysts as the November election looms and Jeff Flake's vacated Senate seat being eyed by two front-runner candidates. Note: this is a preview of each candidates positions. Click on their websites to see their full platform. Ken Clark, the incumbent representative in District 24 is a real-estate agent with a history in Arizona politics. Clark touts his business acumen as one of his biggest assets on his campaign website. Education: Clark supports Common Core and fully funding the School Facilities Board. Environment: Clark calls for renewable energy and continued funding for the management of state parks. John Glenn is a first-time candidate and Arizona architect. Education: Glenn calls for an increase in teacher pay, a funding plan that is “less reliant on sales tax," better school facilities, more social workers in schools and an increase in vocational programs. Environment: Glenn's website said he would be the first LEED-certified professional in legislative office. LEED is a nationwide environmental building standards program. Glenn calls for more sustainable water use, saying it's "critical to our existence." Marcus Ferrell, a first-time political candidate and Navy veteran, touts his experience as a national field organizer for black outreach on state and national campaigns. Education: Ferrell calls for a 20 percent pay raise for all Arizona teachers, and says he will fight “to ensure that all children have access to a free and complete education." Healthcare: On his website, Ferrell advocates for statewide universal healthcare for all Arizonans. Denise Link is a women’s health nurse practitioner and professor. Her key legislative priority is fighting to expand healthcare. Healthcare: Link calls for universal healthcare, boasting her record as a healthcare professional. Public safety: Link advocates for more community inclusion in public safety. She also highlights the danger of college campuses for women, citing statistics on sexual assault. Jennifer Longdon was shot in a random drive-by shooting in 2004, paralyzing her. Her campaign focuses on disability rights and gun-control. Education: Longdon promotes increases in school funding to provide for teacher pay, infrastructure and repairs of schools. Gun violence prevention: Longdon, who is a gun owner according to her campaign website, calls for a number of policy priorities to prevent gun violence, including “opposing the extreme gun lobby,” and improving mental health care. Healthcare: Longdon, citing her personal experience with health care, calls for the protection of Medicaid expansion, maintaining KidsCare and protecting reproductive rights of women in the state. Amish Shah is a doctor in Arizona, founder of the Arizona Vegetarian Food Festival and UA graduate. Shah calls on his past experience to highlight the importance of education. Healthcare: Shah calls for universal healthcare, using personal anecdotes from his time as a doctor to advocate for the policy. Fred Dominguez has no campaign website or public statements of position. According to a local report, his total campaign income was less than $300, with expenses being about half of that. Legislative District 20, which includes ASU’s West campus is facing a four-way primary. Dan Anderson wants to give a voice to those with developmental disabilities. Other issues include schools, the economy and safe neighborhoods. Working families: Anderson will work to “combat policies that erode the rights of working people and help create a more prosperous and equitable society,” according to his website. Education: Anderson, who called the public schools as they stand “a disaster,” said that he would work to fund public education, fight for smaller class sizes, improve facilities and give teachers what they are promised. Safe neighborhoods: Anderson calls for a diverse police force and police-community partnerships to create a safer neighborhood climate. Healthcare: Chandler wants to put the focus on prevention-based healthcare and working with healthcare providers and insurance companies in a bipartisan way to address healthcare. Education: Chandler calls for pay increases for teachers, along with an advancement for quality education. District 16, where Polytechnic campus is located is facing a competition on the other side of the aisle. Six Republicans are facing off for the nomination. Kelly Townsend, a Navy veteran and small business owner is running to keep her seat based on a platform of conservative values and increased education. Townsend says she wants to protect The Constitution, the unborn, residents, Veteran’s rights, property rights, family values, Salt River Horses and more. She also lists the promotion of education, economy, a secure border and a constitutional convention as key issues. John Fillmore, a real-estate broker in Arizona is committed to stopping a “mad dash towards socialism,” according to his campaign's website. Fillmore also advocates for protection of the Second Amendment and strong border security. Lisa Godzich is a respiratory therapist who graduated from ASU. Godzich has a varied and expansive platform. Education: Godzich calls for an end to the “one-size-fits-all” approach to schooling. She also supports trade and technical education as well as college. Economy: Godzich promotes a roll back of regulations to attract business to District 16. She also advocates for an investment in infrastructure. Bonnie Hickman, who does not have a campaign website, is a teacher in the Gilbert Unified School District. Stephen Kridler, a veteran and former Apache Junction police officer is running on a platform of public safety, veterans, commerce and more. He highlights a dark episode of alcoholism and depression following a discharge from the police department, due to “PTSD following a shooting incident,” according to his website. Commerce: Kridler talked about expanding operations at the Mesa Gateway Airport by working with officials to attract jobs. Public safety: Kridler highlights his position on providing greater training and resources to officers diagnosed with PTSD. Tara Phelps, an ASU alum, was born in Mesa and attended Gilbert public schools. Education funding: Phelps calls for the protection of “educational opportunities, flexibility for parents and local governance to meet individual student needs,” according to her website. She also advocates for reforming Arizona’s outdated funding formula and increasing resources to teachers, classrooms and career and tech. The race in Tempe, the home of ASU's main campus is not as competitive, with House hopefuls including current House representatives Isela Blanc and Athena Salman on the left, and Raymond Speakman on the right. 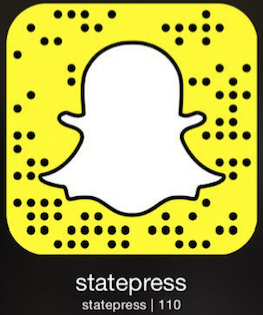 Follow The State Press for continuing coverage through the election.